San Clemente High School is located on a bluff, about a half mile from the ocean, in the beautiful seaside community from which it draws its name. It is somewhat of a rarity these days in that it is the only public high school in the town of 64,000. 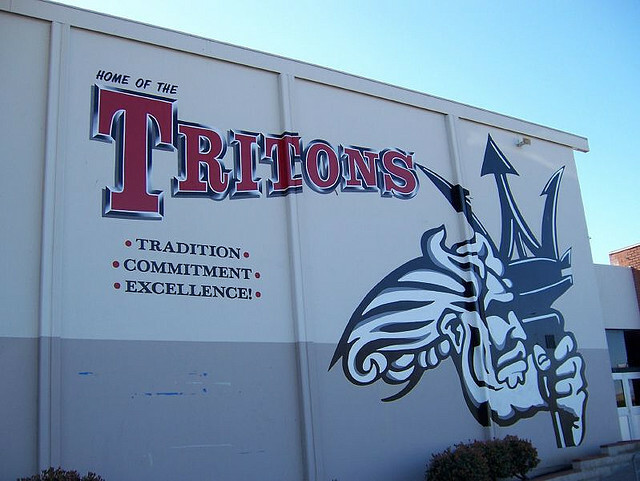 It also serves some small parts of Dana Point and San Juan Capistrano, and is one of five high schools in the Capistrano Unified School District. Slightly more than 3,000 students attend the school, with a mix of 67 percent Anglo, 25 percent Hispanic and 8 percent other. Athletically, the school competes in the Coast View Athletic Association (CVAA) of the California Interscholastic Federation Southern Section. The CVAA encompasses the highly competitive Sea View and South Coast Leagues, which are comprised of the public high schools in the the Saddleback and Capistrano unified school districts. In basketball, San Clemente plays in the South Coast League. It won three of its last four league championships (2013, 2015 and 2016).